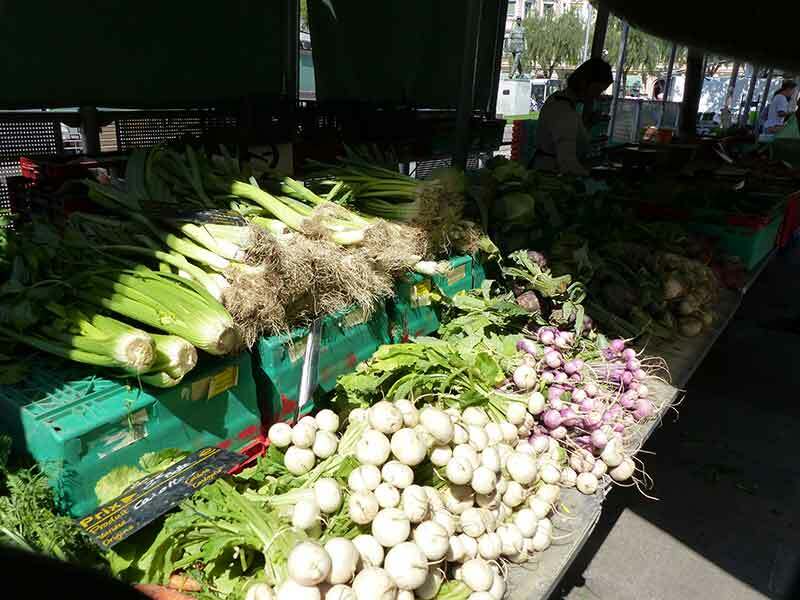 Picture this: a sunny spring day on the Côte d'Azur, at the Liberation Market in Nice, France. The food stalls are bursting with delectable local meat, cheeses, and fish. There's a snack counter, where locals are having coffee or drinks, and a small group of tourists sit nearby with their coffees, observing the ebb and flow of this quiet corner of the market. 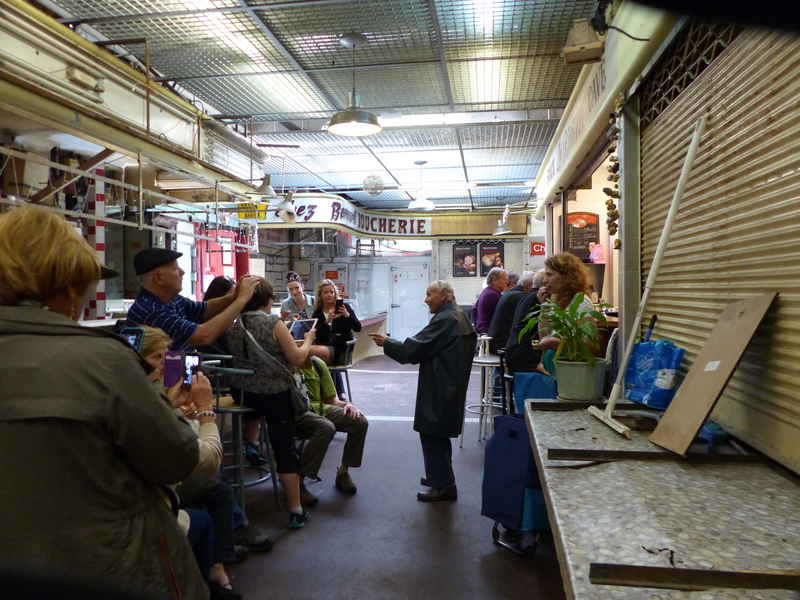 Suddenly, one of locals at the counter, an old man in a raincoat, begins to sing to the group of tourists. And not just sing. Belt. His voice is downright operatic...and accompanied by operatic gestures. His exuberant song fills the market snack bar. Shoppers stop to look at him...a small old man with a booming voice. For 5 minutes, he sings, and the market is suspended in time. Then he stops, and all is quiet again. Everyone keeps watching for a few seconds, waiting to see if he would begin again or hold out his hat for tips. But his song is finished, and he is not looking for tips. He simply wanted to sing. He returns his attention to his aperitif and the market continues with its day. 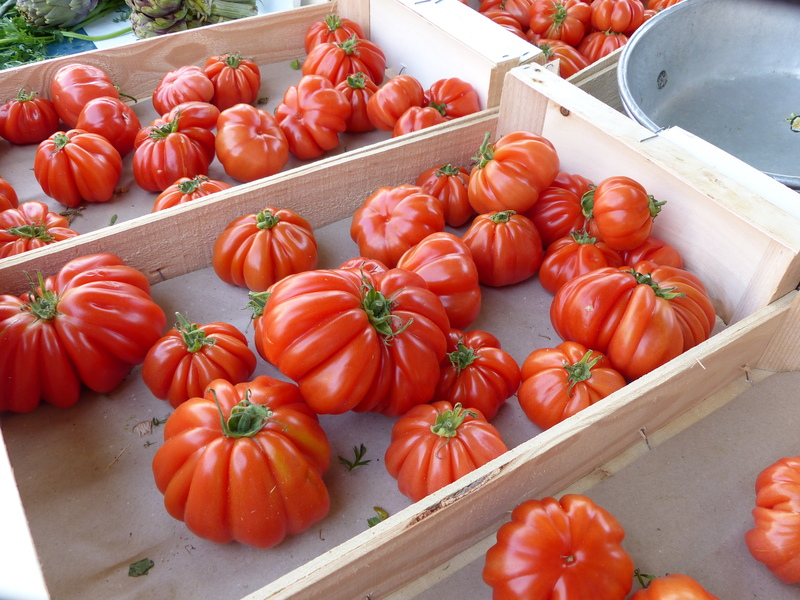 This was my recent experience at the not-to-be-missed Liberation Market, one of my favorite places in Nice! Most Nice travelers will carve out time for the (very worthy!) Cours Selaya market. Known especially for its Monday Flea, the Cours Selaya offers a dizzying array of goods, including some items you won't find anywhere else in the world. 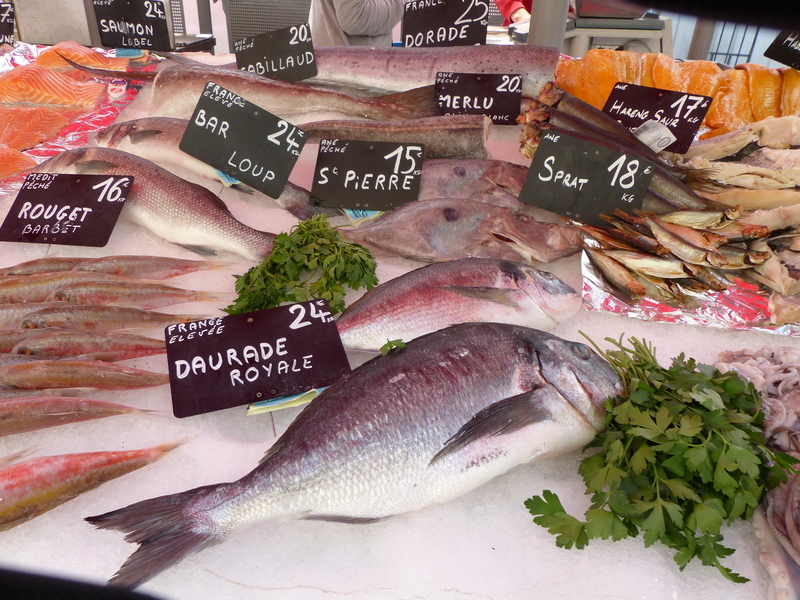 However, true foodies who want to shop where the locals shop should make it a priority to visit the Liberation Market. 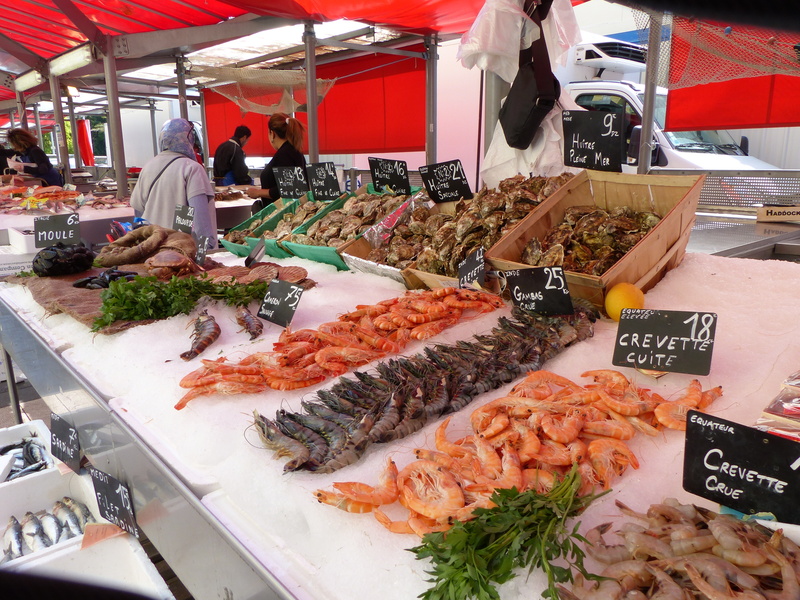 Not only does the Liberation Market have the charm of a local establishment, it also has truly delicious food--including, some say, the best meat and fish in all of Nice. 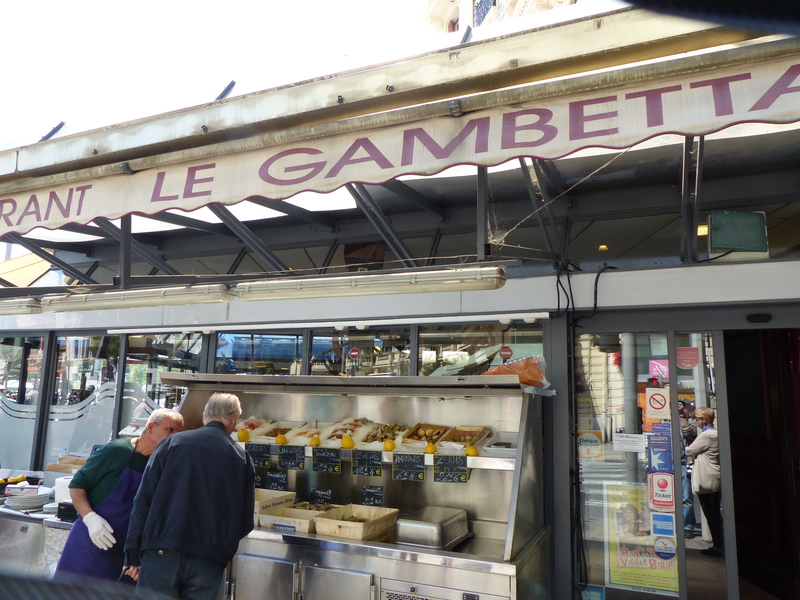 You'll note the first fish monger outside the Brasserie Gambetta. Walk a bit more and you'll hit a whole row of fish stalls. Word is this is the best fresh fish market around. Sure looked good! If you stay at our vacation rental in Nice, Karen and I highly recommend procuring some of these local goodies and bringing them back to the apartment. There will be a full kitchen waiting for you, along with your balcony dining table overlooking the Mediterranean. Perfection. While you stroll, take note of some Nice history. 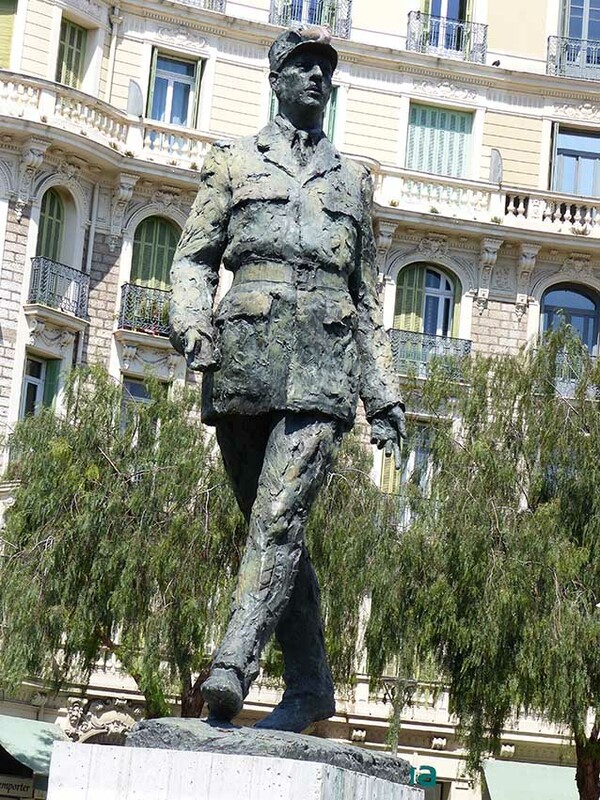 As you head back toward Nice center from the fish market, check out the rather large brass statue of the legendary General de Gaulle in the center of the small park. Then, as you walk down Ave Malaussena, you will pass the refurbished façade of the old Nice Sud [Chemin de fer de la Provence] train station, dating back to 1892. 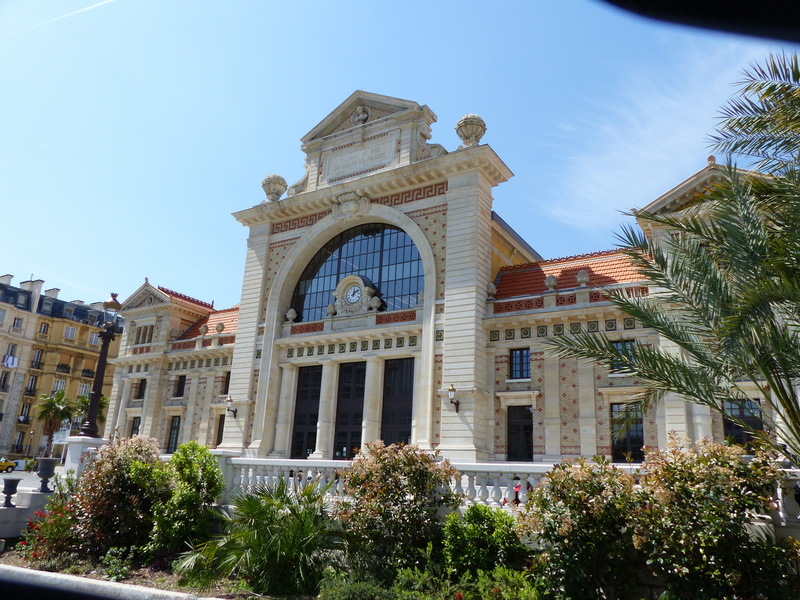 This historic station served as the terminus of a narrow-gauge railway from Digne-les-Bains to Nice until December 1991, when service ceased at this station. The terminus that replaced it is about 200 m. to the west. But the Nice Sud has not been totally abandoned: inside the façade you'll find shops & restaurants, a movie theatre, a market, apartments, and underground parking. On the same trip as the countertop serenade at the market, Karen and I discovered another prize: the sidewalk café La Bella Vita, at 29 Ave. Malaussena. To get there from the market, continue down Ave. Malaussena past the Nice Sud station mentioned above. You'll reach it after crossing the rue du Dr Robert Thivin. What a find! 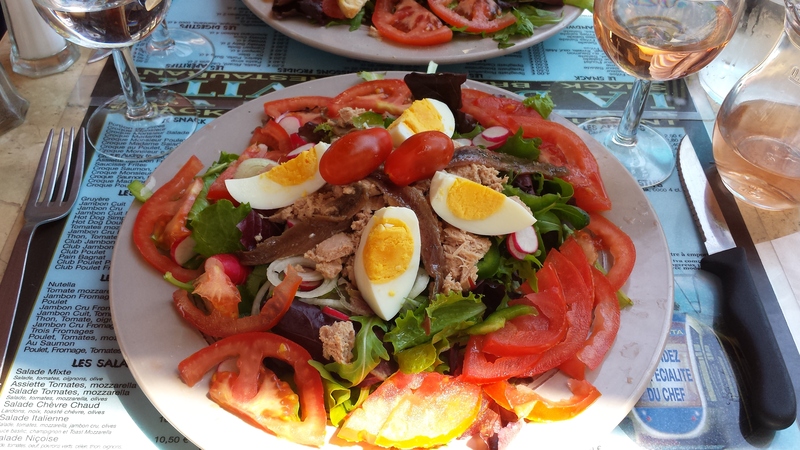 I ate what is probably the best Salade Niçoise I've ever had in Nice, and Karen had the Salade Chèvre Chaud washed down with a house Rosé. Excellent food and service from what is basically a hole in the wall...literally. There's just a minute kitchen/bar and a serving hatch! To add to our enjoyment, we got to watch and listen to a group of local men solve the world’s problems over coffee, water and cigarettes. At least we imagine that's what they were doing; it quickly became quite animated and fun! 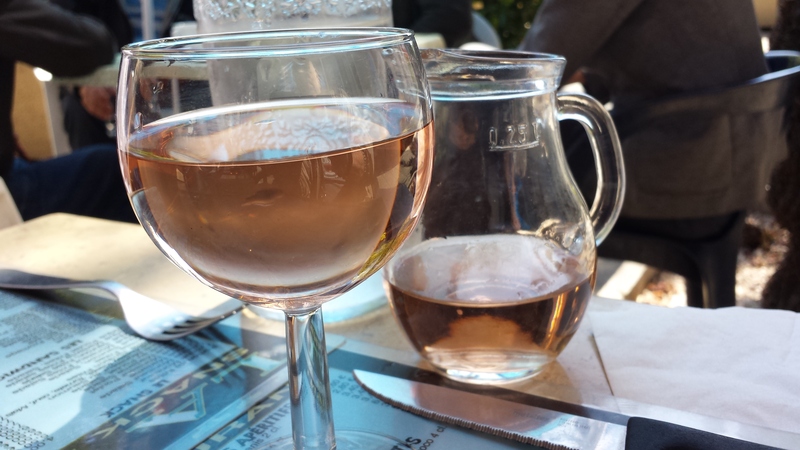 Walk off your delicious lunch (and Rosé) as we did, by strolling into the center of Nice [less than half a mile away] and the shops of Ave Jean Médecin. It's one of Nice's perfect days! Staying At Our Nice Apartment? 1. From the apartment, take the #12 bus to the end of the line at gare SNCF. 2. Go to the tram stop on Ave. Jean Médecin and board the train headed toward Sappia. Your bus ticket is good for the transfer–don’t forget to validate when you get on! 3. Ride the tram one stop to Liberation, then get off. 4. Walk along Ave. Malaussena in the same direction as the tram you just exited. 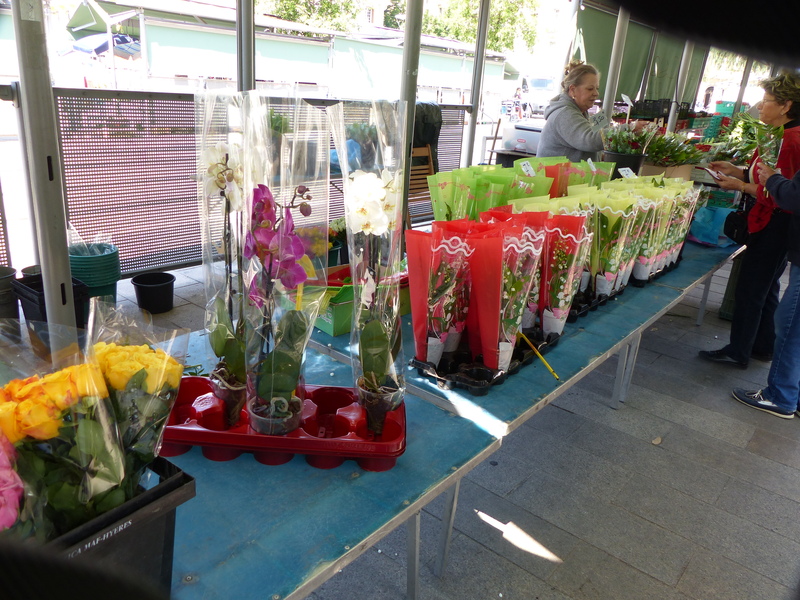 Soon, you'll start to see flower & veggie stalls as you approach the ‘Place du Général de Gaulle.' Keep to the right around the traffic circle and cross rue Flaminious Raiberti toward the indoor market. Hello! We are Ralph and Karen, an Anglo-American couple who fell in love with Paris and France over 20 years ago. Work-related trips brought us here, but we kept coming back for holidays, then extended visits, and then… In 2005, we decided nothing was stopping us from buying a place of our own in Paris. Lots of research, learning, and many kilometers of sneaker-rubber later, we put our house in the United States on the market. It sold in 10 days, and we found our apartment in Montmartre two months later. After a massive, year-long renovation project and its many challenges, we hit our biggest bump yet. As it turned out, we had to stay based in the US after all. Our lovingly remodeled apartment in Paris became a place where we returned only for short visits. In 2008, we started renting to guests—travelers like we once were (we always preferred apartments over expensive, cramped hotels). And the rest, as they say, is history. Le Trésor de Montmartre has proved quite popular, to the extent that we have trouble finding a break in the booking calendar to stay there ourselves! In the midst of this, we found Nice. After several holidays in and around Nice, we thought, why not buy a pied-à-terre in the area? Despite the challenges involved in renovating from afar—which we knew very well at that point—we jumped in again in late 2010. After another renovation, another year, and hundreds more gray hairs between us, we added Le Trésor de Nice to our rental portfolio. A year so so later we picked up 3 other apartment to manage. We hope you find the properties inviting, and hope even more that you will come see them for yourselves! Please get in touch with questions, or to book your stay at one of our apartments. We’d be happy to share our insider knowledge of these places we love so much.